I got the 240z running now which is great but getting some noise from the alternator. I noticed this lately after my afr readings were different between the gauge and the ms2. I am using a lc-2. With the car off they read the same. With the car on they vary. After seeing that result i decided to check all my grounds and moved them proper. I then unplugged my alternator and boom! They were both perfect. Plug it back in... bad again. I decided it would be a good time to replace my alternator for a 280zx one which I did and still get the same result. Has anyone had this issue and resolved it or do you just adjust your afr reading in ms2 to match the gauge? General consensus from what i'd read is to match the MS2 to the gauge as you said. My LC-1 had the exact same readout as my MS2 (until the gauge gave out on me). I assume you have two separate grounds as stated in the instructions? I was getting a lot of noise in my system until I realized I had removed a good body ground. Replaced it once again and 95% of the noise is gone. I will double check my body grounds and verify. I appreciate your response. Could be with all my changes that I forgot one of them. My issue stemmed from a large body ground I had installed with the MS2. All stock grounds remained, but were insufficient. At one point I removed it as I thought it was overkill, but intact it really was doing something. Just one thing to look into. All grounds are present and placed on body. I am going to check by adding another ground to the alternator to see if that does anything. I also have a lot of capacitors laying around. I might try and add one inline with the 12v going to the ms2 or right before power gets to my entire fuse block that I have all my components running off of. I will message up my results. Did you see my E-Mail that I sent the other day, regarding the EMI suppression capacitor that must be attached to the +12 V terminal on the alternator? It is to reduce electrical noise. Also, the LC-2 ground must go to the Intake manifold ( In your case ) . You said Body above, but I think that may have been a Typo. Also, the Innovate ground wire has to go to a separate stud on the Intake manifold, not to the same stud as the ECU ground..... for the reason below. Innovate stupidly combines the Heater ground and gauge/sensor ground into one wire. Which is really dumb as the O2 heater wire is a high amperage draw and will can create a Voltage offset. Good manufacturers use a separate ground for the O2 Heater ground and that must be mounted separate from the ECU and regular AFR sensor ground. When you have a proper WB controller with two ground eyelets, the WB controller ground is " Star grounded " to the same point as the ECU ground to decrease voltage offset. I have read your email. I have done all that your talking about. I moved o2 ground to intake on its own stud. There is a condenser on the alternator. I added a new ground strap from alternator. I put a capacitor inline to try to silence noise. Nothing worked.. only unplugging the alternator. I did notice that this is not very uncommon and I am only having issue with my o2 sensor. Nothing else is being affected. I will try moving my ms2 mounting position and see if that makes a difference but if not I am going to just adjust the afr voltage in tuner studio to match the gauge. I have done that now, but don't like masking a known problem. But adjusting the setting in Tuner Studio is not masking anything. It is a common electrical Calibration that is done with all AFR gauges and auxiliary outputs. The 14 point sevn article explained it in Technical terms. I think you're worrying a bit too much about the " Ca;libration "
Many, many industries dealing with electronics or electricity in general have to deal with voltage offsets. It is very very common to see adjustable voltage pots ( or digital voltage regulators on allsorts of electronic boards. The high end car audio industry deals with voltage offsets and ground loops all the time. You should see what an electrical plant has to do with matching frequencies and voltages before tapping into a new Power grid. That's just the way it is. You design your circuit to minimize the voltage offset. With proper ground procedures. That will take care of the big offsets. Then you fine adjust the difference in the software. The alternator issue is a different matter though. It could very well just be old or faulty. A bad rectifier bridge in the alternator will introduce electrical moise into the whole cars electrical system. Worn brushes or a worn commutator. will also create noise. A failing alternator can generate a lot of AC ripple. Which is very bad in a DC circuit. Especially for modern day electronics with digital micro processors that operate on very low voltages ( some operate with millivolts ). Come to think of it, didn't you mention that your charging voltage was pretty low.? That is one of a failing alternator. Consider the Maxima 80 Amp internal upgrade. Newer " Small frame " design, that is much more efficient than the old 280zx Internal regulator models. The Maxima alternator can crank out 50 amps at just 1,000 rpm . Just my .02c. Others may have some incite to this as well. Good Luck with your project. I think an alternator change would be a good idea, to solve this particular issue. I have got the 280zx alternator cranking out 13.5 volts. I have made the adjustments in Tunerstudio and will just be okay with it as no other reading is off besides the o2 reading. Also I have no problems getting into high rpms. As a final test I will be moving the ms2 away from other wiring and see the results. If nothing changes I will just be satisfied. I will look into the maxima alternator. Try grounding the MS directly to the battery. Chassis grounds often tend to have noise issues. Matt: Ok now I'm officially confused. Direct grounding of the ECU to the negative Battery terminal goes against recommendations by other Manufacturers and your own information. Voltage impedance from the Starter cranking ( huge amperage draw ) can damage components in the ECU if you connect it directly to the Negative Battery terminal. Especially if you have a bad Chassis ground. And these are 40+ year old cars. And if you have a bad starter ( shorted commutator or excessively high draw ) you can blow sensitive Microelectronics in the ECU. Matt" Here is the documentation direct from MS Extra showing proper grounding schemes to the Engine Cylinder Head or Block And repeated by other manufacturers. Implementing a correct grounding scheme is critical to a successful Megasquirt install. ways to give you a headache. 2. Ground the Megasquirt at the engine block/head using both available ground wires. through the Megasquirt grounds to the engine. The sensors (coolant, air temp, throttle position, wideband, tach input) all use low current, low voltage signals. The Megasquirt measures the voltage from the sensor and converts it into a temperature, position etc. reading. loss due to the ground voltage difference. drops are created and how that would cause sensor readings to be garbage. Wow, I don't have MSQ but this is great to see people helping solve problems like this! Page 2 has some good discussion. In my experience, good chassis grounds are usually bad, and bad chassis grounds are horrible. A chassis ground may look like a nice thick piece of metal running straight to the battery. But in practice, there's often a fair amount of rust, spot welds with poor contacts, and possibly sections where the current is trying to get through paint and rusty screws in the path of current that you try running through the chassis. So grounding the ECU to the battery is the best option for grounding. 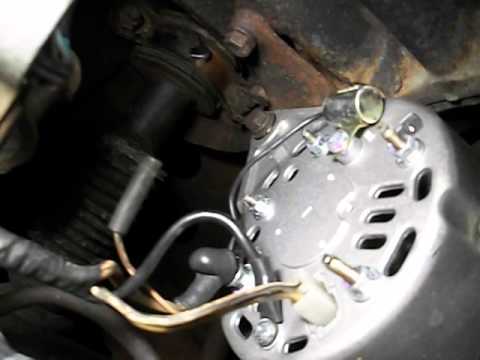 Don't overlook that when the engine is running and the alternator spinning that the bulk of the current is actually flowing through the alternator circuit. The battery is actually a low current draw. So it's the alternator charge wire and ground that might be most important. The battery is often thought of as the primary power source but when the car is in use, it's not really. Not sure if this relates or not but all the aftermarket efi throttle bodies etc want the positive and negative straight to the battery. The block or head can be an acceptable second choice, but sheet metal grounds are generally terrible. Grounding the ECU to the battery cuts out any potential for voltage drops with the block to battery ground. I have not seen the starter cause a voltage spike that would be a problem with grounding the ECU to the battery but not the block. I also had issues with the LC2 and LC1. Could you tell us which outputs you used from controller to ECU ? and Controller to gauge? Are they tied intogether? Have you selected the proper outputs from controller? Have you tried to re-program the default outputs with LM programmer? Are you getting solid green light on lc2 once on? 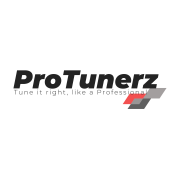 What are your tunerstudio settings for the Wideband controller? Ditto on LC2 using the same heater and controller ground stupid design. The 14point7 units are perfect because they have separate grounds and the Spartan2 was made with mega squirt in mind has a neat way to recalibrate and getting more accurate readings between gauge and EMS. I also tell guys that got my wiring harness to ground MS at battery or block. Chassis ground could get weird especially the s30 chassis harness. There is a debate by some Standalone ECU manufactures on using an engine ground ( Intake manifold or cylinder head preferred ) , or a ground from the ECU straight to the Battery terminal. IMHO, there should be no debate at all. There are dangers associated with grounding an ECU directly to the Negative Battery cable and those dangers should be discussed. The following is why Nissan, and most OEM manufacturers ( that I have ever seen ), always ground the ECU to the engine Cylinder head or Intake manifold. 1: It reduces the potential to create a Large ground loop. Large ground loops can increase electrical noise in the electrical circuit. ECU's and sensor operate on millivolts and they don't like Electrical noise. 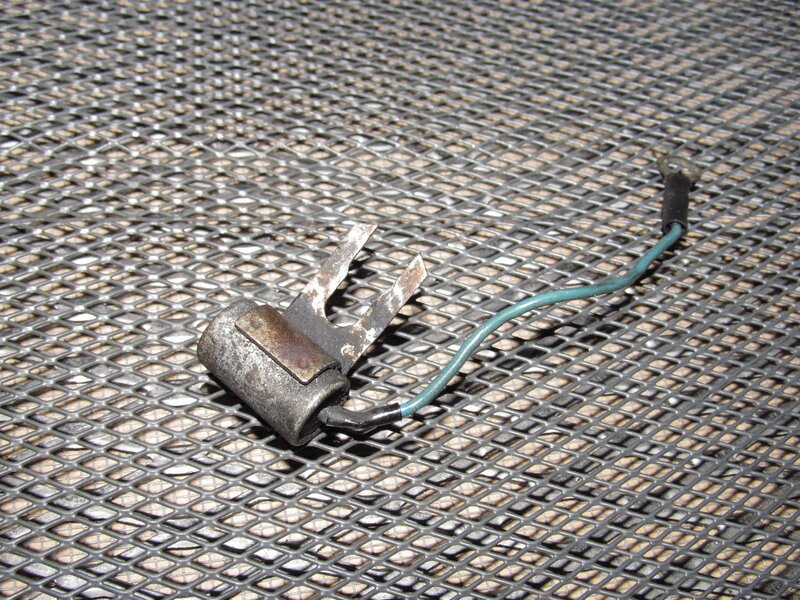 Andy Wyatt has a good article on proper ECU grounding procedures. It is a very good article. Andy Whittle who makes DIYAutoTuning videos ( very good videos BTW ) , has covered this same subject on Guild of EFI Tuners before. Their consensus is ground ECU to engine.. for a number of reasons. 2: The #1 reason for not connecting the ECU ground directly to the Negative battery cable is what if the Main ground cable to the starter is defective or loose??? ... then you can absolutely FRY your ECU in an instant when you crank the engine over. This happens more often than some people realise. A new starter motor draws between 150 to 200 depending on it's Power rating. That's for a small 4 - 6 cylinder engine... under ideal conditions ( Google it ). That's constant running, once they have gotten the engine spinning. On initial start, momentary draw can easily be 250 to 300 amps on a V8 or High compression 6 cylinder. In freezing temperatures that momentary draw can rise to 500 AMPS!!! That's a hell of a lot of current flowing through that Negative battery Terminal. Think about that for a bit. What happens if you change the starter or transmission and forget to attach the Negative Battery cable to the engine . Or you leave the top bolt a bit loose. Mistakes happen all the time when it's late and you're tired. Or there's a bit of corrosion, dirt, grease, oil , paint or some other contaminant at the ground location for that Neg battery cable. Or perhaps the cable is old and fayed, or has some corrosion in the eyelet? Happens all the time on Vintage cars. What will happen is that when you crank the engine, the starter is going to pull that 200+ amps through any ground circuit it can. If the starter main ground is not PERFECT... that means that it will pull some or ALL of that amperage through ANY other ground source. That includes the tiny #10 gauge wire to the firewall, throttle cables ( Common for them to catch fire as they get so hot ) or any other ground connected to the Negative Battery cable. And that includes your expensive ECU. There is no denying that. It has happened countless times in the Automotive world and is well documented. That my friends is why I always connect my ECU grounds to the engine. You will not fry the ECU if something bad happens to the starter or the ground cable to the starter. And as I've mentioned over and over. Nissan chose the engine grounding method for the ECU fir very sound engineering reasons. I'm not going to second guess them. Or the hundreds of OEM manufacturers who choose the same method. Personally, I have never seen an OEM manufacturer ground an ECU directly to the Battery. Oh I'm sure that somewhere, sometime an OEM has. And I'm sure " Some guy " will have to dig up an example jst to try and prove otherwise. Just my .02c. BTW. I just e-mailed Shane Rice ( Op ) and he confirmed that he has indeed switched his ECU ground from the Chassis to the Intake Manifold. Stock Nissan grounding location. So all is good in that respect. I was remote tuning for Shane so this is all relevant to me. And I know some inside details on the setup. The tune worked very well according to Shane. FWIW. The AFR gauge difference all just a calibration issue with the Innovate WB controller. It's not a big issue and is a common problem with Innovate products. Personally, I have personally seen and read about too many issues with Innovate products and would never use one of their products. Innovate apparently shut down there User Support Forums in late 2016. To many negative comments. Is that lame or what?